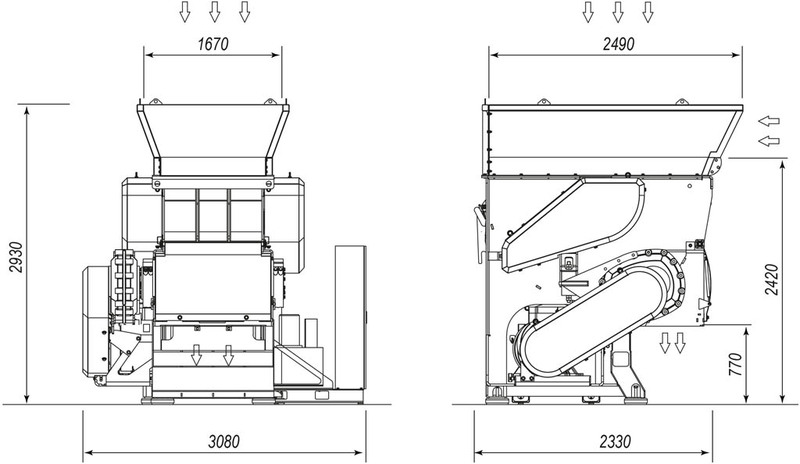 Single shaft shredder for grinding of any type of plastics, industrial scrap or post-consumer. SP range has a 370 mm diameter rotor, an horizontal hydraulic pusher and 1000x2100 / 1900x2100 mm of cutting chamber opening. 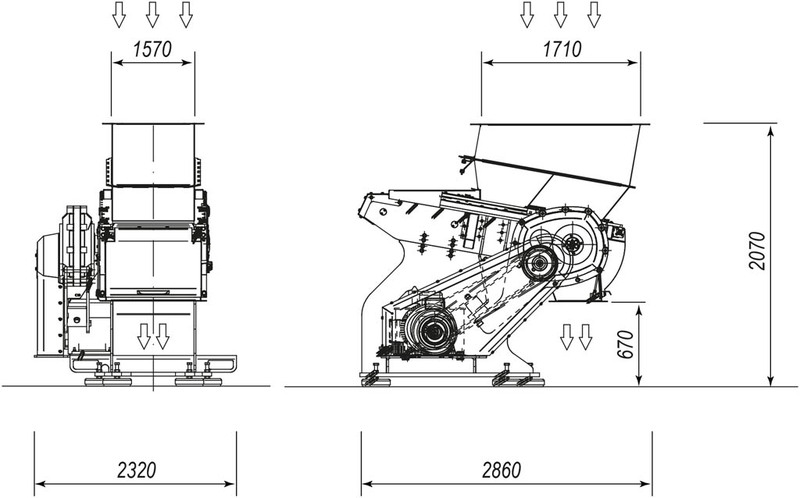 SN range has a 470 mm diameter rotor, hydraulic pusher and the cutting chamber opening is from 700x1200 mm to 1600x1700 mm. These machines can be equipped with special rotors for film and made with and anti-wear treatments.